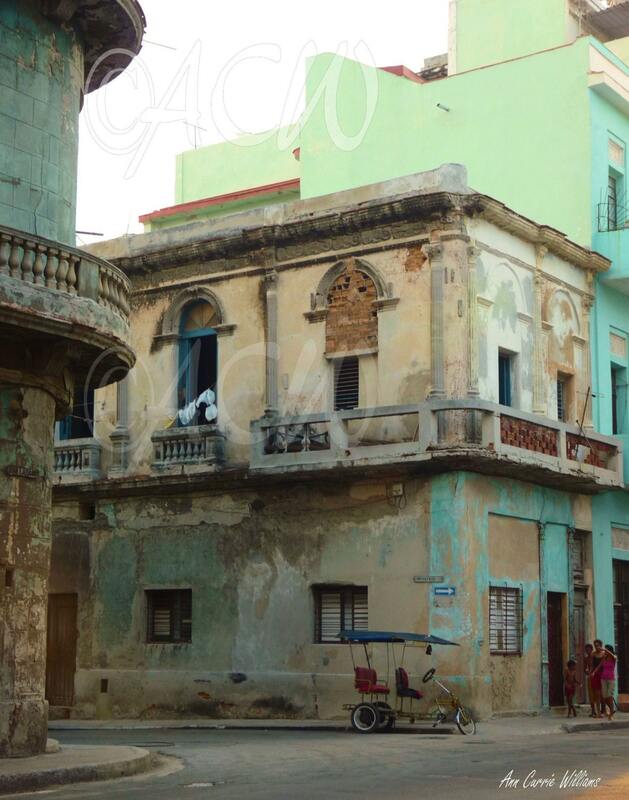 Street corner in Havana, Cuba with the ruins of the lovely architecture. and everyday folks walking around. An image from an original photograph.